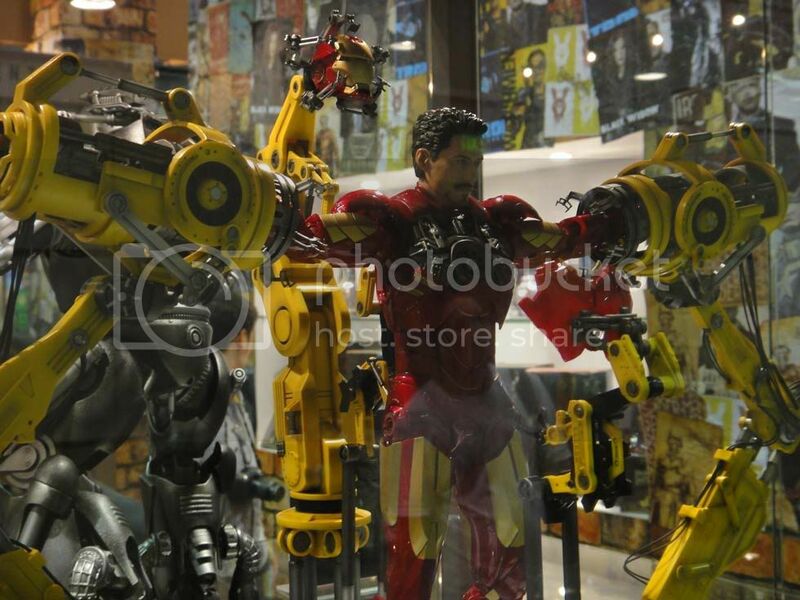 It's the second day of the Singapore Toys, Games and Comic Convention and things are still going strong. 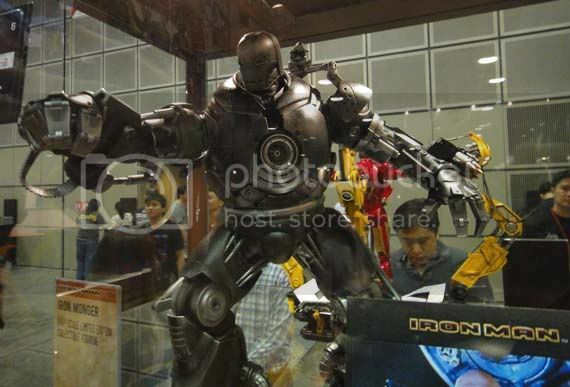 First post of the day is the totally awesome Hot Toys Booth err... exhibit... Let's just call it a very big booth. 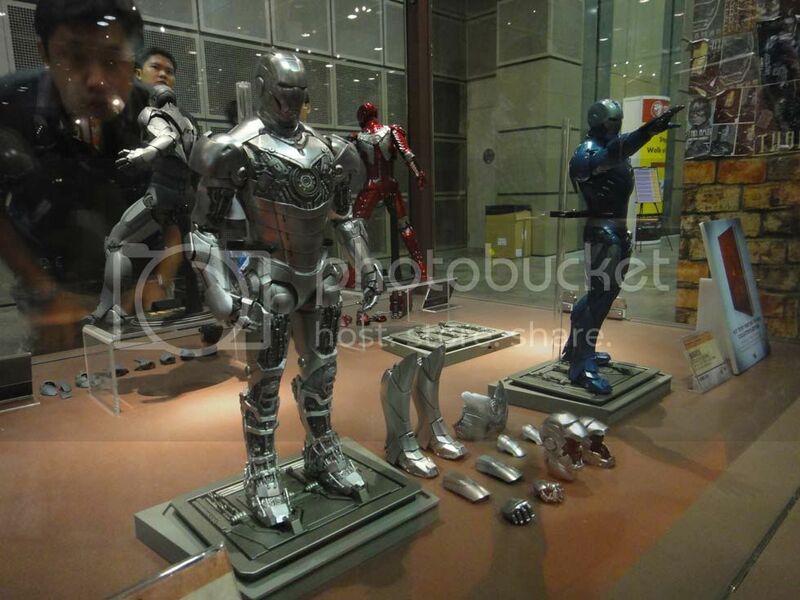 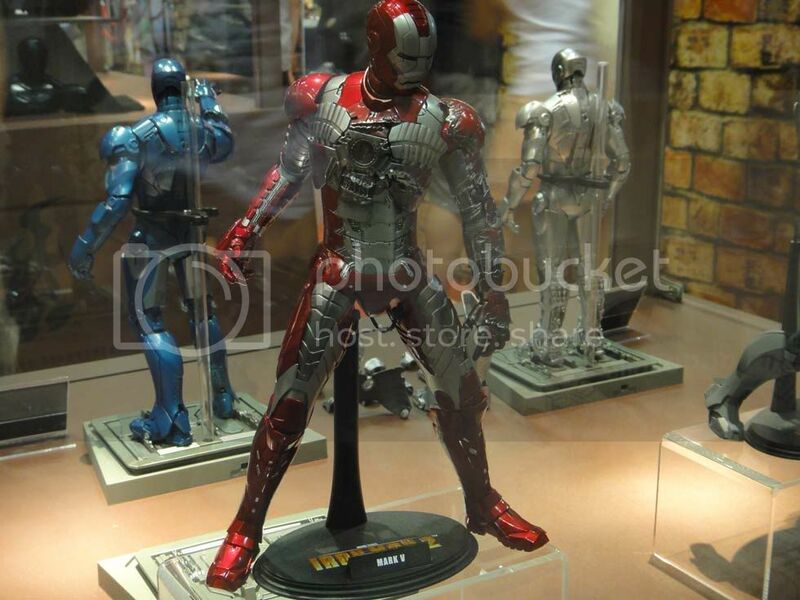 Anyways they've got some cool figures displayed including some soon to be released figures from their Iron Man line. 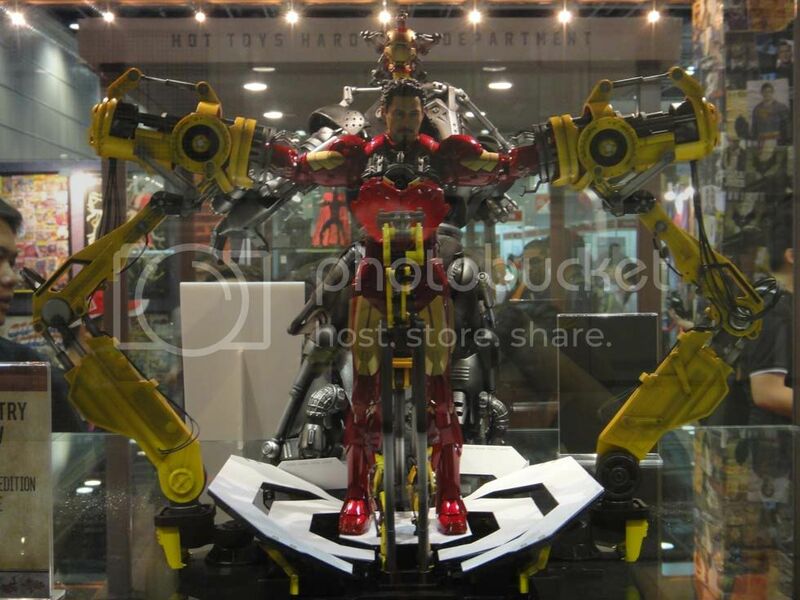 As you can see above they did a pretty good job scaling down Obadiah's humungous suit. 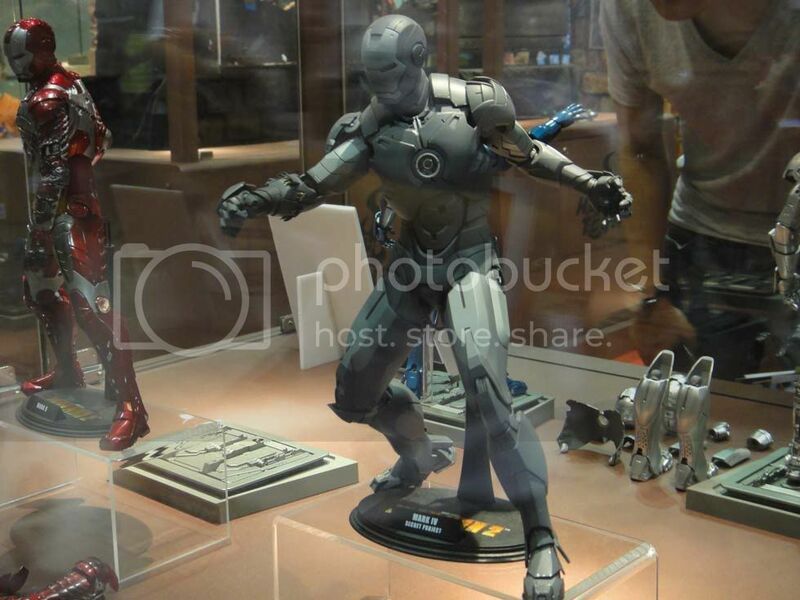 Did I mention we have images of unreleased Iron Man figures after the break? 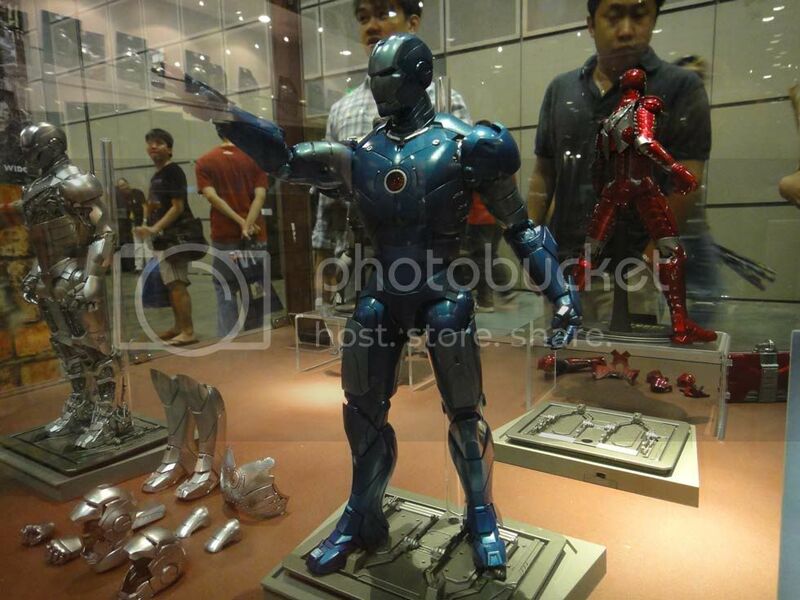 Go ahead and check out the suit gantry aka Iron Man's Dressing room.